Hello lovelies, it's McKenna Ryan here from the blog Lynn + Lou! 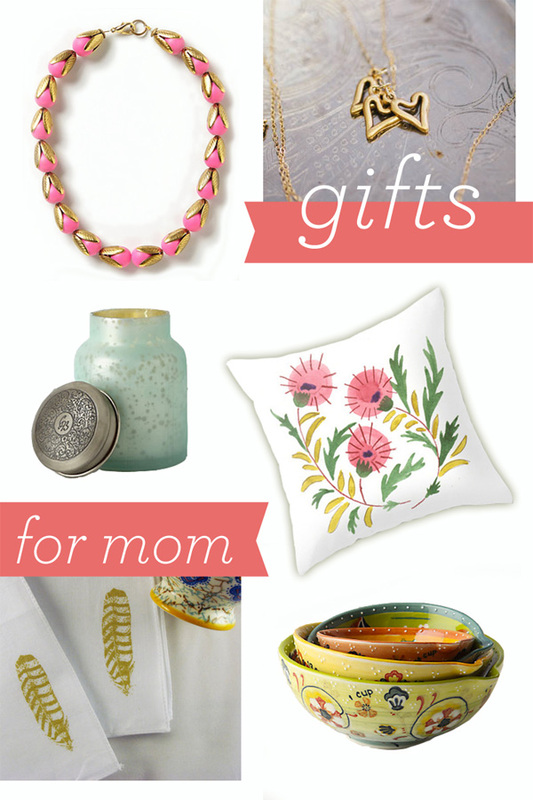 I am so excited to be sharing a gift guide to Mother's Day today with all of you. Here are some really special pieces that are both pretty and the perfect addition for any mother on this special day. Every mother deserves a day of relaxation, why not treat her to a day of luxury by starting off with a yummy batch of Mother's Day pancakes using these gorgeously crafted measuring cups? While you adorn her with this lovely pink necklace or even this gold heart necklace, have her relax with a good book, on this floral pillow in the aroma of this lovely candle. There is just something about candles that bring an immediate comfort to any room. And just to top of her special day, you can gift her with this lovely printed hankie. What is on the agenda for your mom on Mother's Day? love all about this post !!! Cute picks! The pillow is super cute!